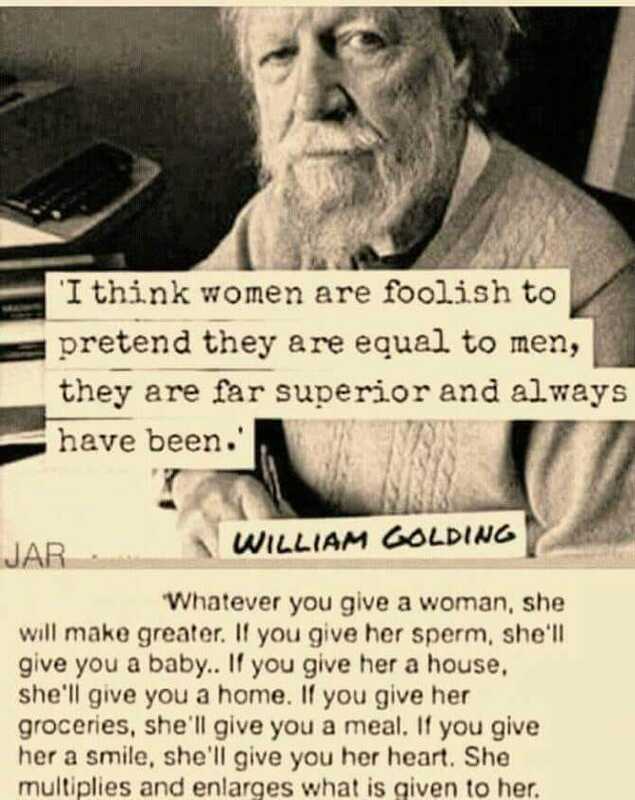 I think this is a lovely sentiment by William Golding, expressed in a loving well-intended way. That said, I could not disagree more. To suggest that ANYONE is superior to another because of the genitalia they were born with is akin to judging people by the color of their skin, the country they were born in, or their sexual orientation. I much prefer to judge people on the content of their character and how they treat others.